New Balance Fresh Foam Zante v3 are neutral performance running shoes. 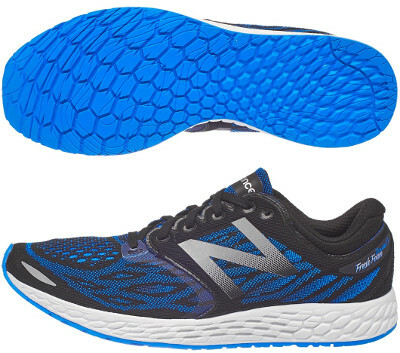 The New Balance Fresh Foam Zante v3 is probably the most successful surprise within Fresh Foam collection and taken market share from more classical performance shoe like Vazee Pace v2. Featuring 6 mm drop and great response, the Zante v3 is just one step below from more cushioned Fresh Foam Boracay v3 and a valid alternative to popular Adidas Adizero Boston 6 in tempo runs and racing long distances like marathon. Major change compared to its predecessor Fresh Foam Zante v2 is the fancy upper based on a similar fabric used in popular and trendy Adidas Ultra Boost which is highly breathable and elastic to better adapt to different areas. Gusseted tongue on both sides provides great comfort and prevents rubbing. Midsole in Zante v3 offers great blend of cushioning and responsiveness with latest Fresh Foam technology available playing with hexagonal configuration depending on the area to deliver best performance. Outsole configuration changes slightly with more rubber for increased durability while hexagonal lugs become wider in the forefoot to promote a quicker toe-off.